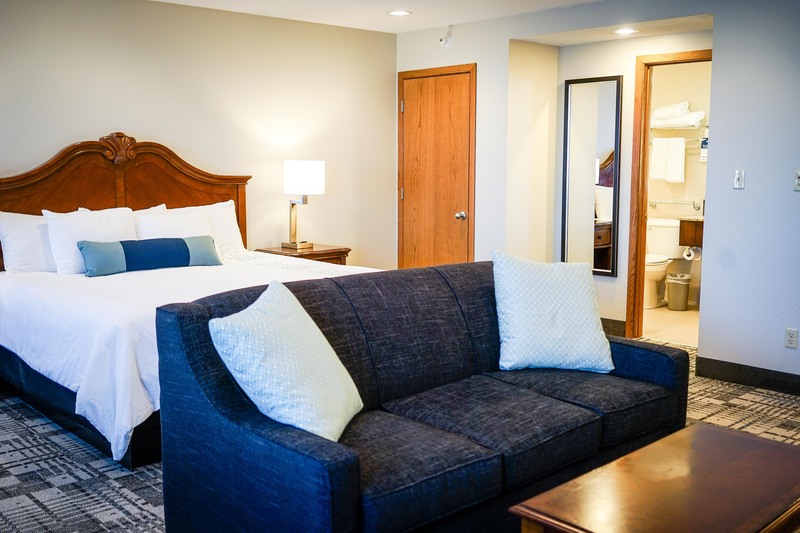 We invite visitors in the greater Dubuque area to stay with us and choose from a variety of guest rooms suitable for families, business groups and event parties. A variety of King and Queen rooms along with extra-large Suites and Accessible rooms mean there’s room for everyone here! Check-in, drop your bags and enjoy the amenities found in each of our rooms including: complimentary WiFi, TV with expanded cable selection and HBO, Wake-up calls, coffee maker, pillow top mattresses and rollaway beds upon requests. 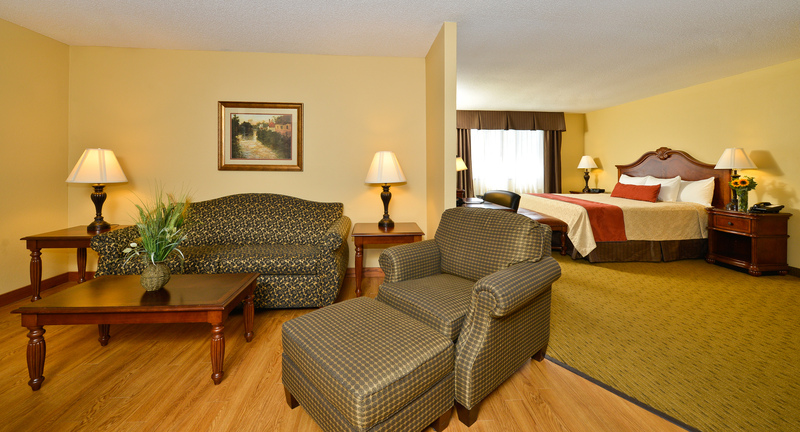 Kick back and relax with all the comforts of home and much more in our King Room. 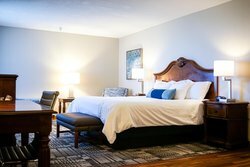 This spacious refuge is stocked with modern amenities and thoughtful touches, including in-room Movies & HBO, complimentary WiFi and room service up to 10pm. Kick back and relax with all the comforts of home and much more in our King Room. 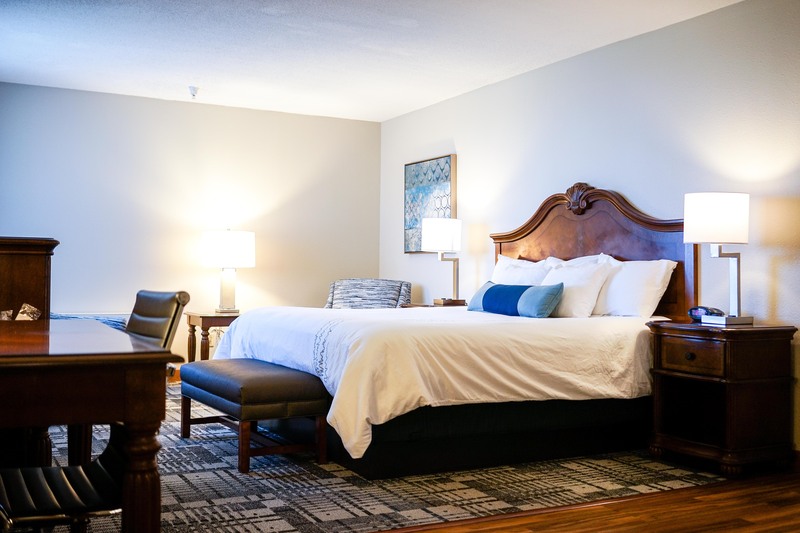 This spacious refuge is stocked with modern amenities and thoughtful touches, including in-room movies & HBO, complimentary WiFi, and room service up to 10pm. Traveling to Iowa with family? Our King with hide-a-bed provides ample space, comfort and functionality for your entire group. Take advantage of the premium amenities in the room and feel good about knowing your whole family can stay together. Traveling to Iowa with family? Our King with hide-a-bed provides ample space, comfort and functionality for your entire group. Take advantage of the premium amenities in the room and feel good about knowing your whole family can stay together. 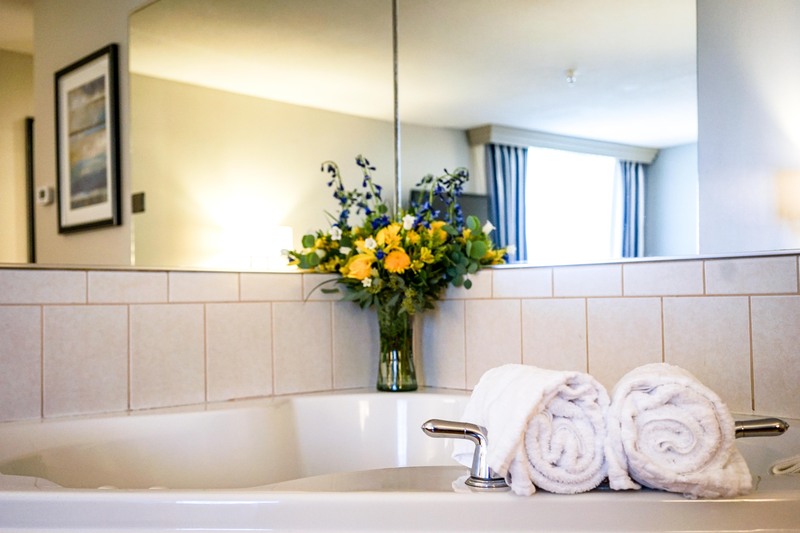 Take some time for yourself and book the King Whirlpool the next time you’re in town. 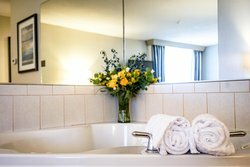 Along with all the same great amenities as our King Guest room, you can unwind and refresh in your own Whirlpool tub. 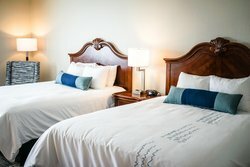 There is no need to sacrifice comfort for great value when choosing an accommodation in Dubuque. Our budget-friendly Accessible King is outfitted with a fantastic array of amenities right at your fingertips, ensuring your comfort and mobility. 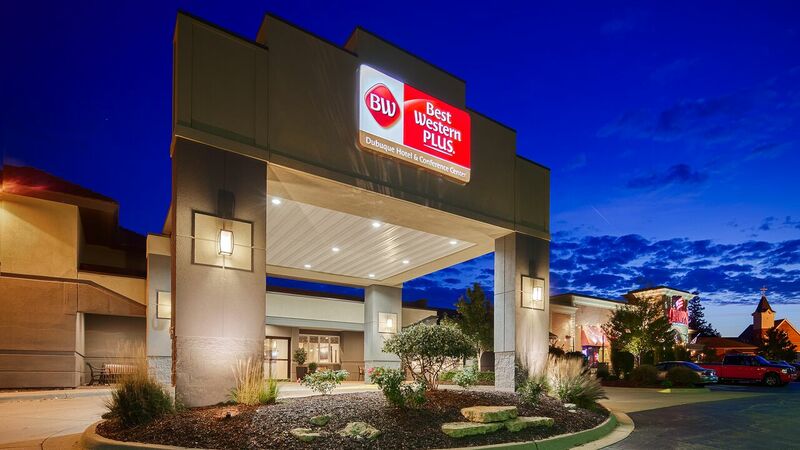 No matter what your notion of comfort is, we have what it take to accommodate you at the Best Western Plus Dubuque Hotel & Conference Center. For group flexibility choose one of our Two Queen guest rooms, offering all of the necessities for a productive, contemporary stay. No matter what your notion of comfort is, we have what it take to accommodate you at the Best Western Plus Dubuque Hotel & Conference Center. 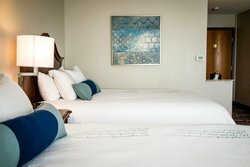 For group flexibility choose one of our Two Queen guest rooms, offering all of the necessities for a productive, contemporary stay. Whether you are in town conducting business or just looking to spend time with the family, our Poolside rooms provide all the great amenities you need, and the extras you deserve. Located on both the first and second floor of our Best Western, you will have extended windows looking out onto the pool. Whether you are in town conducting business or just looking to spend time with the family, our Poolside rooms provide all the great amenities you need, and the extras you deserve. Located on both the first and second floor of our Best Western, you will have extended windows looking out onto the pool. Located on the first floor of our hotel, guests of the Two Queen Pool View have the best access to our atrium and indoor pool. Along with all the great room amenities, you can open your patio door to walk out to the pool and lounge area. 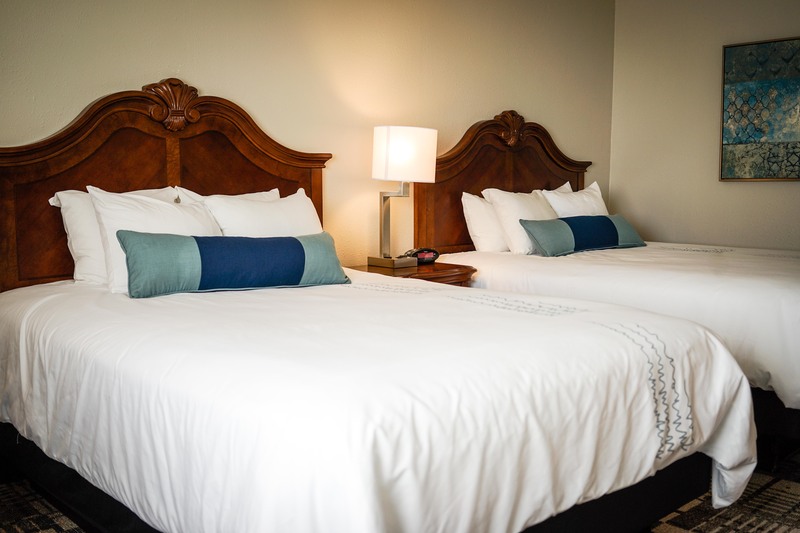 Find the comfort you want with all the features you desire when you stay with us. 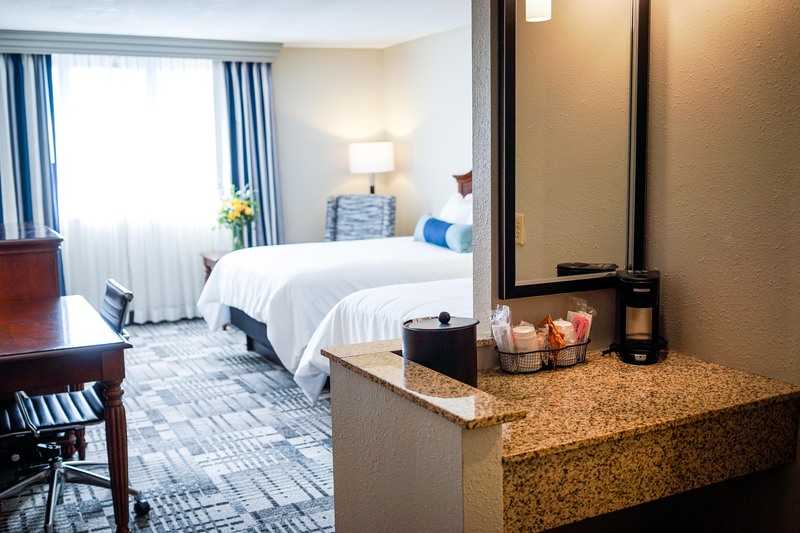 Along with the standard ADA Accessible features, we equip all our rooms with the best in connectivity including free WiFi, in room movies, HBO and LCD flat panel TV’s. We’ve thought of all the little things that make a big difference for when you’re on the road. Our Mobility accessible rooms include extra-wide entryways and accessible bathroom features like grab bars. 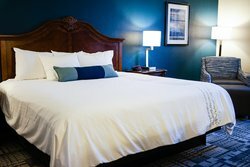 With the promise of a good night’s sleep ahead, you can unwind during you visit to Dubuque, Iowa. Our Extended Stay Two Queen Suite is great for teams in town for business and is flexible enough to appeal to families as well. The kitchen includes a refrigerator, microwave and electric stove, while your living room is equipped with couches and a work station. Looking for a place to call home while you’re in town for extended business? 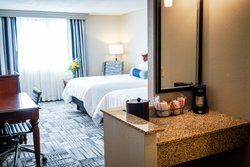 Look no further than our Extended Stay Suites. Furnished with their own kitchen, you can settle in, get down to business and come home at the end of each day to a comfortable, affordable room. Our signature Best Western hospitality begins with a good night’s sleep, and our King Executive Suite provides delightfully soft bedding that will have you reaching for the snooze button in the morning. A spacious separate living area completes the suite. 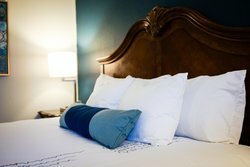 Our signature Best Western hospitality begins with a good night’s sleep, and our King Executive Suite provides delightfully soft bedding that will have you reaching for the snooze button in the morning. A spacious separate living area completes the suite, making it perfect for any getaway. Looking for a place to call home while you’re in town for extended business? 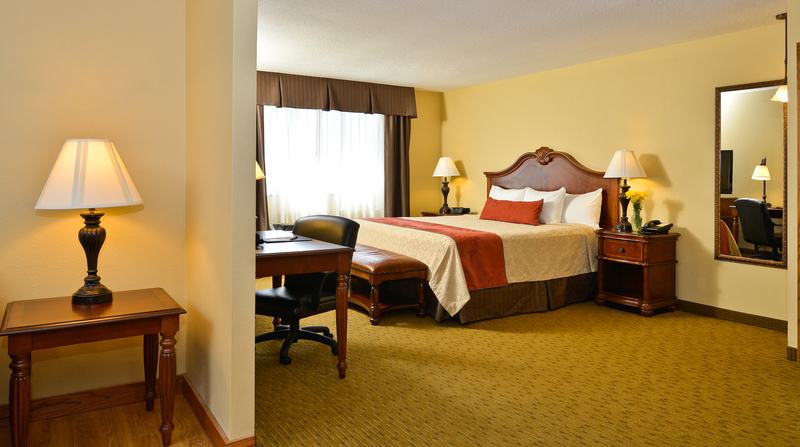 Look no further than our King Extended Stay Suite. 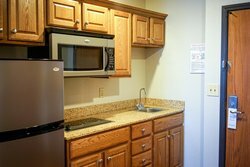 Furnished with its own kitchen, you can settle in, get down to business and come home at the end of each day to a comfortable, affordable room.